There are a number of different kinds of hearings that will take place when the Division files a protective services complaint against you and it is important to be represented by an experienced DCP&P attorney who is familiar with every kind of court hearing. During Protective Services litigation, the court will preside over the Order to Show Cause, the Return on the Order to Show Cause, Fact-Finding or Jurisdictional Hearing, Dispositional Hearing, Compliance Reviews, and Permanency Hearing. Each hearing can have different possible consequences and you should have an attorney represent you who is familiar with every type of proceeding. The DYFS defense lawyers at the Tormey Law Firm LLC know how important your family is to you. That’s why protecting your family and your parental rights is our number one goal. Brent DiMarco, one of our DCP&P defense lawyers, joined the Tormey Law Firm in 2018 after working for two of the largest DYFS defense firms in the state of NJ. Now, he uses that experience and expertise to protect our clients facing similar allegations. In addition, Travis J. Tormey, our managing partner, has a perfect 10.0 rating on AVVO, an attorney rating service, and he has received the client’s choice award for four straight years. Let our experienced attorneys handle these allegations (whether it be a DYFS investigation or a criminal investigation or both). Contact our offices anytime for immediate assistance at (908)-356-6900. The initial consultation is always provided free of charge. Our Passaic County NJ DYFS attorneys represent clients throughout the State including in Wayne, Clifton, Totowa, Passaic City, and Woodland Park. Here is an example of a recent Title 9 charge that was dismissed thanks to the Tormey Law Firm LLC. FAQ: Do I have a say in Court? Yes. You have rights as a parent and you are entitled to an opportunity to tell the judge your side of the story and argue against DCP&P in court. In fact, you are entitled to have a DCP&P lawyer represent you in court. The Order to Show Cause is the first hearing when DCP&P will present the reasons why it is seeking to have you in court – whether it be taking custody of your child or compelling you to attend services. DCP&P need only make a “Prima Facie” showing that its application is appropriate but the Division must also provide you with notice of the hearing because you have the right to be at the hearing and you have the right to be represented by a DCP&P attorney at the hearing. Basically, the Division will request that the court order you to appear and show cause why the Division’s requests should not be granted by the court. The Return Order to Show Cause will occur within ten to twenty-one days of the initial Order to Show Cause hearing. As with the Order to Show Cause, you have the right to be represented by a DCP&P attorney at the Return Order to Show Cause hearing. At this hearing, the Court will decide whether or not the case should go forward to either a Fact-Finding under Title 9 or a Jurisdictional Hearing under Title 30, depending upon which body of law the Division filed its complaint. Fact-Findings (Title 9) /Jurisdictional Hearings (Title 30) are trials at which the Division must prove by a preponderance of the evidence that you abused or neglected your child or that care and supervision of your child is appropriate to protect your child’s health and safety. These trials will occur within four months if you child is removed from your custody or within six months if you child is not removed from your care. Essentially, if DCP&P files a complaint against you, it is up to a judge to determine whether or not you actually abused or neglected your child pursuant to Title 9 or whether or not the Division actually needs care and supervision of your child pursuant to Title 30. The bottom line is that these hearings are trials during which the Division will present evidence against you and then you and your DCP&P attorney will have an opportunity to challenge the Division’s case. A Dispositional Hearing will occur after the court decides whether or not DCP&P has proven its case and the court will decide where your child will live until the case is resolved. 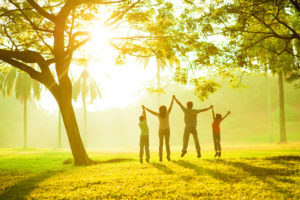 If the Court determines that you have abused or neglected your child or that there are child welfare concerns, then the Court will also order you to comply with Division evaluations and services to determine what is needed to resolve the issues that led to the Division’s involvement with your family. Compliance Reviews will occur on a periodic basis, about every two or three months for the court to review DCP&P reports and treatment collaterals. The court will also address any other issues related to you and your child regarding how your case is progressing. Permanency Hearings are required no later than twelve months after the Division takes custody of your child. If after one year your child has not been able to return to your care, the court must decide what long-term plan is best for the child. In other words, the court must determine whether or not it would be safe in the foreseeable future for the child to be returned to you and whether or not the Division has provided your family with reasonable efforts to achieve reunification. At every stage of litigation the Division and court will scrutinize you and your family. Every type of hearing is important and if you are not already represented by an attorney, you should consult with an experienced DCP&P lawyer who knows how to protect your rights as a parent and who is familiar with every kind of hearing that the court will conduct. Contact our offices anytime for a free initial consultation with an experienced DYFS defense lawyer at (908)-356-6900.